You guys, I have completely overhauled my skincare routine. I used to have a bunch of high-end expensive, mismatched products that I acquired randomly, whether it be a press sample or a perk from Ulta or Sephora. But I decided that I needed to start looking for one company that I know I can trust that won't break the bank - AND I'VE FOUND IT. Formula 10.0.6 is perfect for my skin in every way, and the price is great for my wallet! 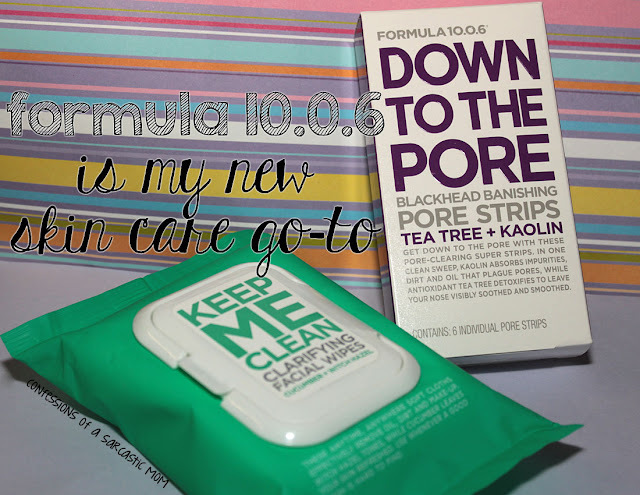 I really should do a big post about all the products I have, but in this post, I'm showing off the Keep Me Clean Clarifying Wipes and Down To The Pore Blackhead Banishing Pore Strips. 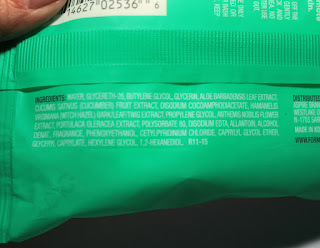 I've mentioned this before here, but I have a contact allergy to citric acid, and I've had some pretty serious reactions. 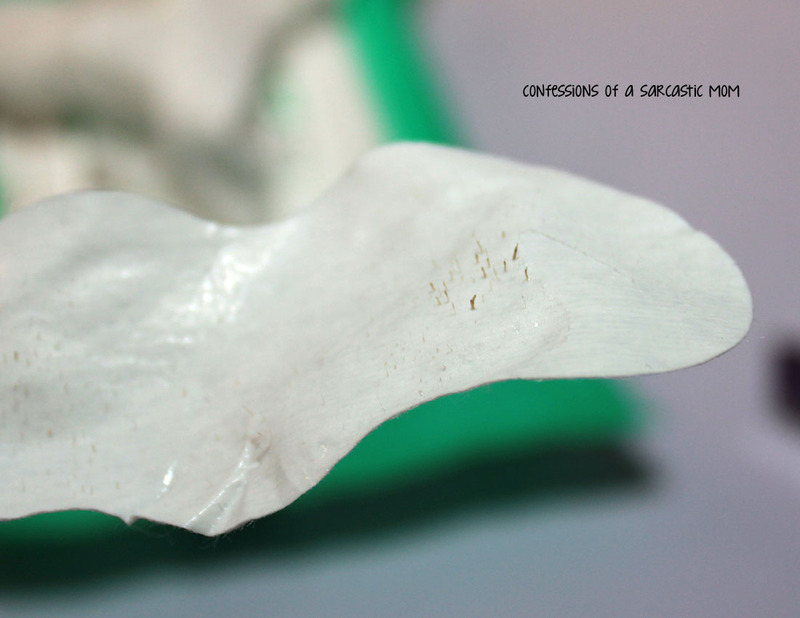 I scrutinize my skin care now to make sure nothing contains that seemingly common element. It's especially a common in face wipes, so I've found that there are only a few I can use. My go-to brand, Absolute, is now nowhere to be found (I had found them for several years at TJMaxx), and I was seriously sweating trying to find a replacement before I ran out of my Absolute stockpile (I had purchased 4-5 packages of the Cucumber extract kind, my favorite, the last time I found them at TJMaxx). 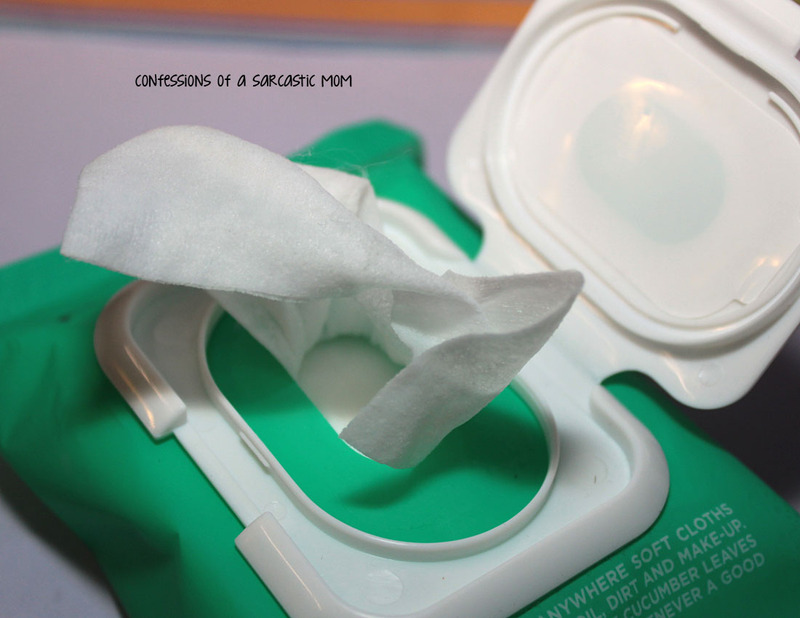 But then I found these wipes! I can use them with no issues, and the scent isn't so overpowering that I end up sneezing all the time. That's a HUGE issue with face wipes! 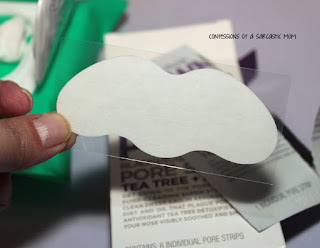 Ok, moving on to something that's less than pleasant - pore strips. Have you used them? I hadn't used them for years when I decided to pick these up. They haven't exactly made a difference on my nose, but it's a completely different story with my cheeks! Formula 1006 Down to the Pore. Blackhead banishing pore strips. 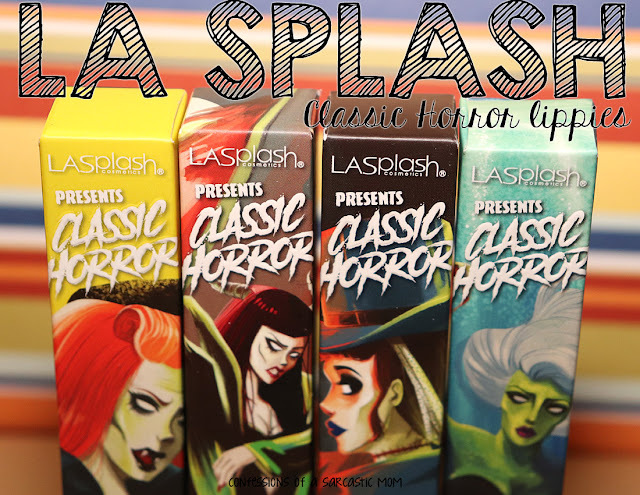 Fast working strips remove deep down dirt build up from pores and absorb oil to reveal silky smooth skin. 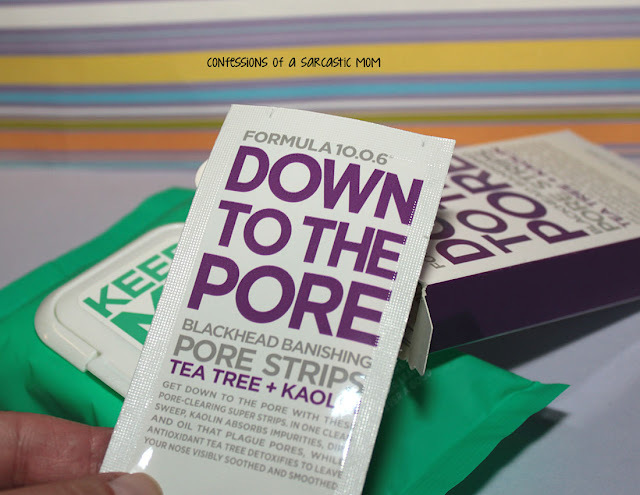 Infused with Tea Tree and Kaolin to minimize the look of pores. Draws out impurities to leave skin smooth and fresh. I had previously posted about Picture Perfect Day and the PM Perfector, and how much I loved them. Well, I have since re-purchased Picture Perfect Day, and I use it every morning. I did use the entire pot of PM Perfector, but I have yet to re-purchase it because I'm trying other products from this company. Price point for both the face wipes and pore strips is $5.99. Great price, huh? I've re-purchased both of these more than once since my original purchase!